My friendship card for the month of March was for Lucy. Threads are Mettler Polysheen 2830, 2912, 5833. 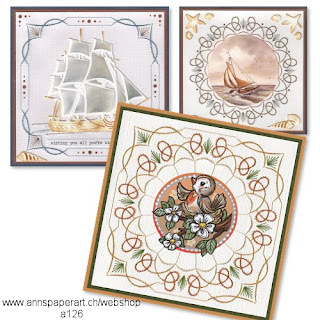 Cutting dies by Sue Wilson CED6412, CED4306. 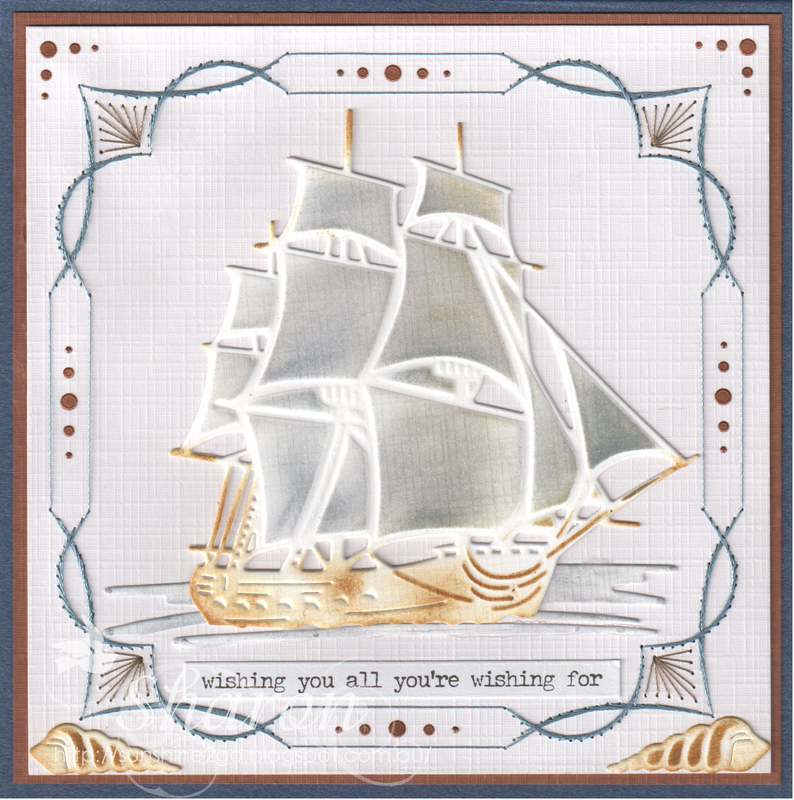 Hobbydots and embellishments have also been added. This card was created especially for our son. 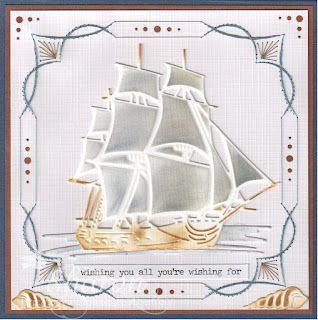 The new pattern is by Ann's Paper Art , a126. I haven't used the complete pattern I only stitched the outer edge. Threads are Mettler Polysheen 0853 & 3853. 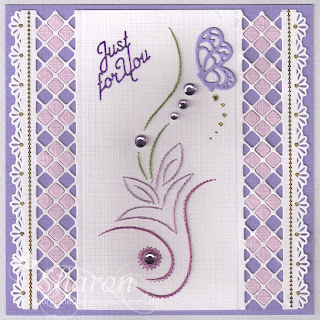 Dies are Marianne Design - LR0416 & CR1363. Scribble under the boat is Tim Holtz - Scribble's and Splat. 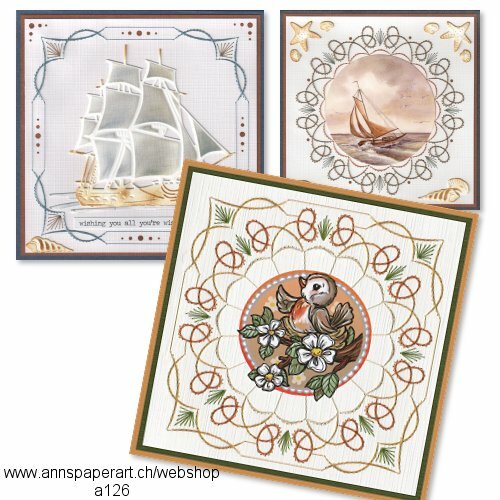 Tim Holtz SMALL TALK, Hobbydots & Distress ink have also been added. 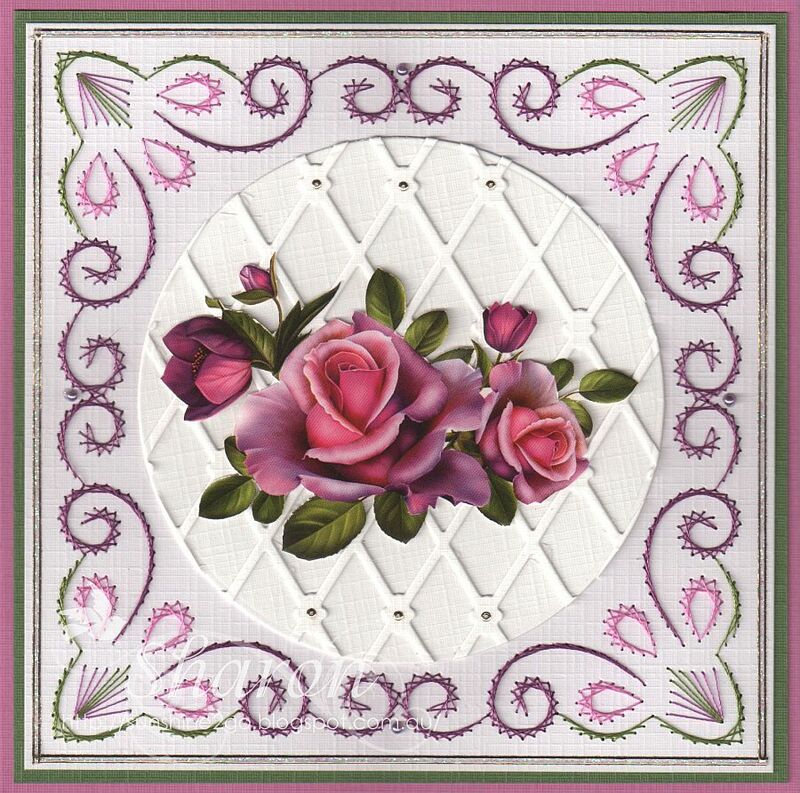 New pattern by Ann's Paper Art the pattern is a125. 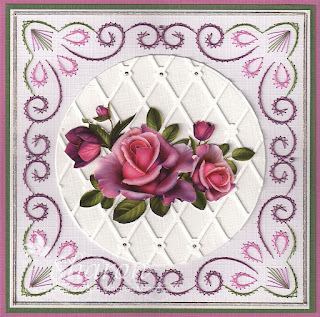 The pattern has been combined with the beautiful flowers from 3DCE13009. Threads are Mettler Polysheen, 2721, 2810, 5888. 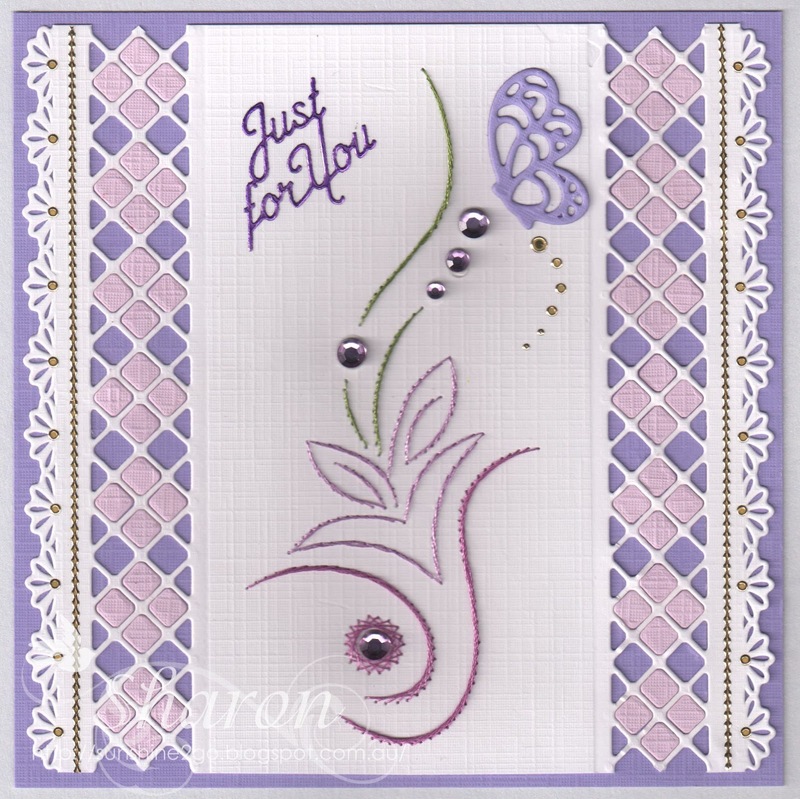 Trellis die by Yvonne Creations YCD10015. I hope that everyone has a wonderful crafty weekend.